In many ways, the piano trio is to Jazz what drawing is to Art. It is the basic frame upon which much of the bigger colourful stuff is hung. It is almost graphic in its lines and cross-hatchings, yet capable of telling the full story with the simplest of means – a small drum set, an acoustic bass and one of the largest of the orchestra’s percussion instruments, the piano. 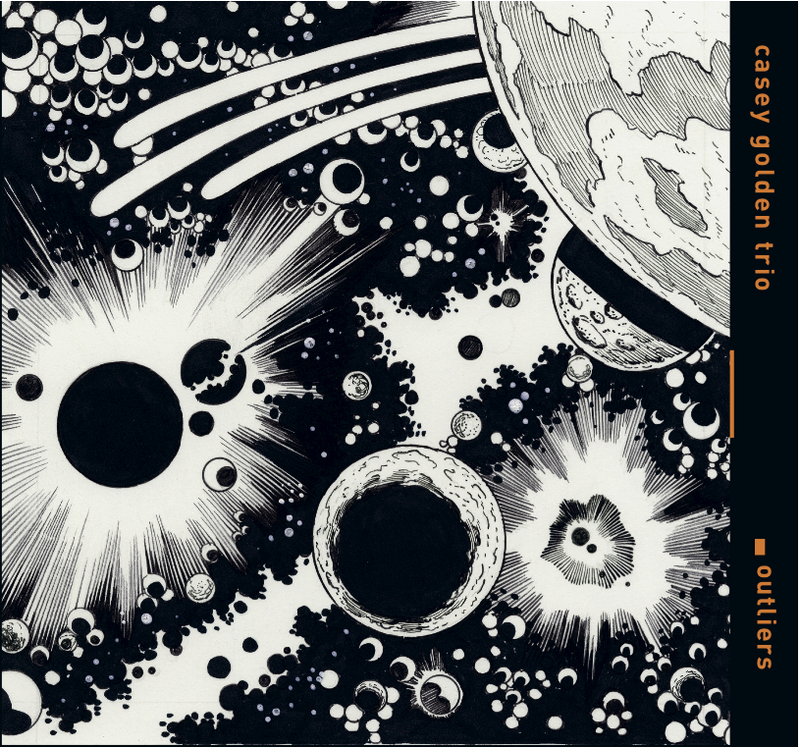 So it is fitting on a number of levels that pianist/composer Casey Golden’s new Trio album, Outliers, sports a graphic cover drawn in black-and-white by none other than one of Marvel Comics’ finest, Ron Frenz. It is a spacey solarscape that one expects, say, Doctor Strange to zip through on one of his missions to other dimensions. Much of the music on Outliers seems from another world, too (the word outlier comes from statistical mathematics and is “an observation point that is distant from other observations”). Golden’s compositions roll out based upon their own logic – like Monk or, closer to home, the writing of Mike Nock – a logic that finds its own balance between flow and stop, cluster and spread, tight and open. Texture seems to take equal weight to melody and rhythm. Harmony is subservient to texture – the woven lines of album opener, the wittily titled ‘Flatpack Empire’, the repeated arpeggios of ‘Paralysis’ as well as that track’s faux-montuno under Ed Rodrigues’ questing drum monologue. The 49 second vignette, ‘Uncovered’ is almost Japanese in its linear economy. It all seems so perfectly-formed and confidently joyful ­– but this music and this band is no overnite sensation. 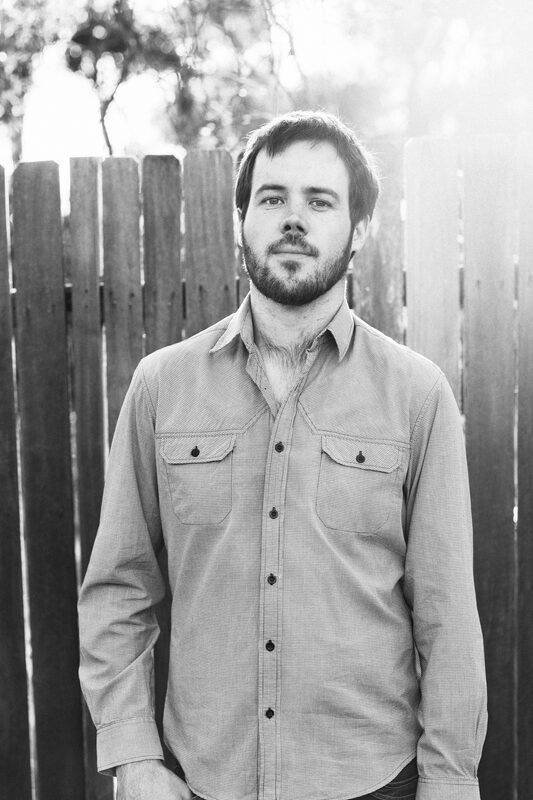 Both compositions and band have been gestating for almost five years since Golden’s previous recording. Now, with Rodrigues and bassist Bill Williams, Golden has found a band that not only obviously in synch with his unique compositional approach but one that can breath together during the blowing sections. Check the fleet ensemble sections of ‘Us or Them?’ or the conversational banter and chat of the group soloing on ‘Recluse’. One of the delights of Outliers is the blurring of head and improvisation – all merges into a cool yet sunlit miasma of music: total integration, as is with the three instruments, as is with the elements of Golden’s writing, also extends out to wrap all in together, solos, heads, all of it. It is rare that a musical vision is so complete, and completely of its own world. It is doubly rare that such a refined and rounded-out vision comes from one so young. Casey Golden has already been one to watch for several years – Outliers vindicates our faith and makes me, for one, hungry for more from this unique ensemble.